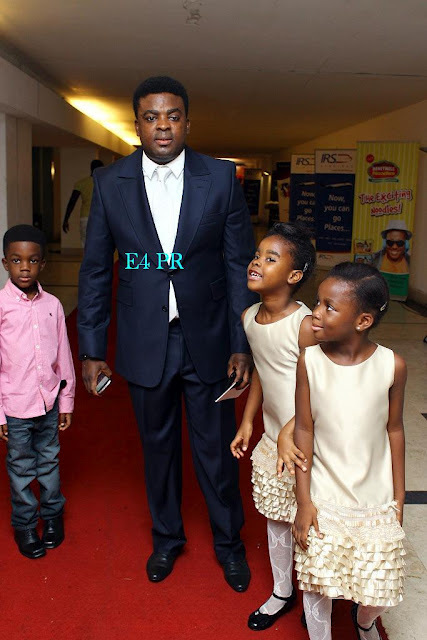 Ace movie Producer/ Director, Kunle Afolayan a former banker, leaves no one in doubt that he wants to make a living out of the thespian art. One of his works, Figurine, has enjoyed rave reviews, and the revered movie director is proud to tell anyone who cares to listen that he is the son of the late film maker, Ade Afolayan, popularly known as Ade Love. Since the good-looking actor came into the movie scene few years ago in the movie Saworoide, much has not been heard about his private life. Though he now flaunts his marital status. This award-winning producer has been romantically linked with a lot of ladies, including several Nollywood actresses, at different times i.e Nse Ikpe Etim. His affair with Nse,in particular made a lot of headlines. It was at the height of the heat generated by the report that he made it known to all that he's married and as a matter of fact, is a family man to the core. After this revelation, the amiable actor has been stepping out in grand style with his beautiful wife,Tolu and kids, at different events. The couple was recently spotted at the premiere of his chartbuster movie titled Phone Swap. It is an understatement saying the paparazzi had a field day with the couple. Tolu, not used to kleiglights and paparazzi was very shy and tried to shield away from the cameras,but this was an impossible task as the photographers practically mobbed them. Here is the pix of the talented actor, wife and kids.